News | Mighty Nish Band - Omaha, Nebraska & Iowa’s party music | wedding receptions, private, corporate parties, street dances & concerts. The Mighty Nish Band will ROCK the Barefoot Bar on Friday and Saturday, July 20 and 21, 2018 from 7-11 pm on Lake Okoboji. It will be HOT – but you can always jump in the lake. See you there! Head to beautiful Lake Okoboji to hear the Mighty Nish Band rock the Barefoot Bar on Friday and Saturday, June 15 and 16, 2018 from 7-11 pm. We will be playing your favorites at your favorite spot. See you there! Have some wintry fun with the Mighty Nish Band this weekend! The Mighty Nish will perform at the Barefoot Bar Volvo Penta Stage on Saturday, January 27, 2018 from 11 am until 3 pm. Winter games is always a good time. See you there! The Mighty Nish Band will rock Oct-Tiki-Fest at the Barefoot Bar on beautiful Lake Okoboji Saturday, September 30 from 2 noon – 6 pm. You can also catch the Polka Police from 12 noon – 2 pm. It is going to be Tiki-rific! Check out the Mighty Nish Band this Friday and Saturday July 21-22 at the Barefoot Bar on Lake Okoboji from 7-11 pm. Start you 4th early with the Mighty Nish Band! The boys will be at the Barefoot Bar on Lake Okoboji on Friday, June 30 and Saturday, July 1 from 7-11 pm. See you there! 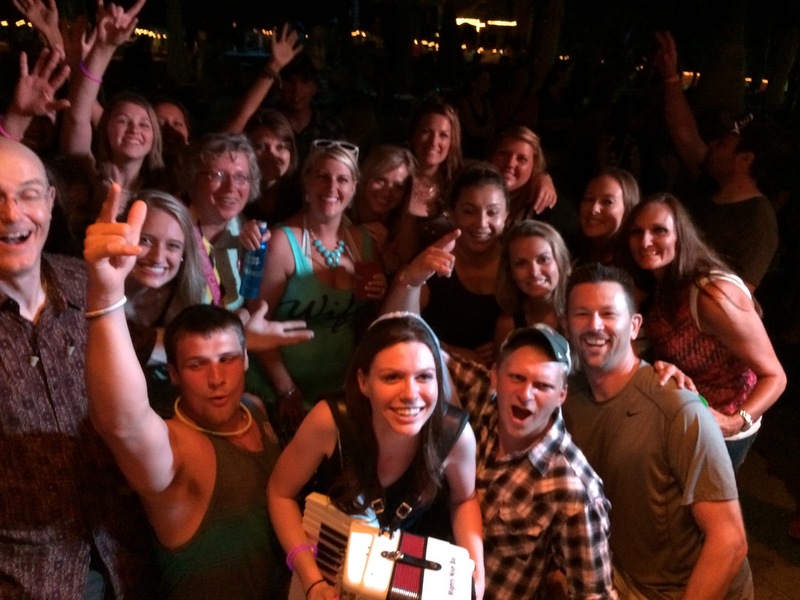 Head to the Barefoot Bar on beautiful Lake Okoboji this weekend for a triple shot of fun! Catch the Mighty Nish Band Friday and Saturday, June 2 and 3 from 7-11 pm. If you can handle it hang around Sunday, June 4 for the Polka Police from 2-6 pm. Here are the Mighty Nish shows at the Barefoot Bar on Lake Okoboji for summer 2017. Can’t wait – hope to see you there! Head to the Barefoot Bar and Park Marina‘s giant new building all weekend long for University of Okoboji Winter Games fun! The Mighty Nish will perform from 3-7 pm on Saturday, January 28. Check out the Polka Police before and Maiden Dixie after the Mighty Nish. Saturday, January 28 join the Mighty Nish Band for the University of Okoboji Winter Games in the giant new building at the Barefoot Bar from 3-7 pm. 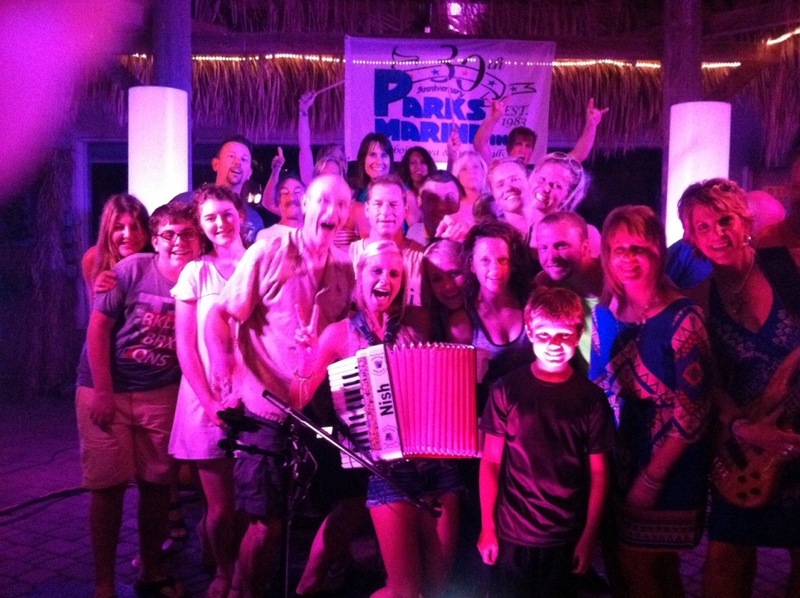 Stay all day and night for fun activities, Polka Police and Maiden Dixie! Ring in the New Year with the Mighty Nish Band at the Twisted Tail in BeeBeeTown, USA! Enjoy a delicious dinner anytime between 4-10 pm then ROCK OUT with the Mighty Nish from 9-1 am. Call or text Hannah at (712) 592-9794 for dinner reservations then come out to this FREE show! 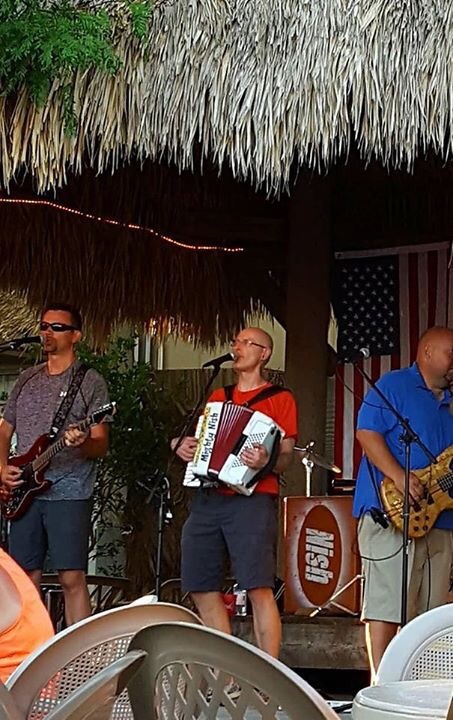 Head to the Barefoot Bar on Lake Okoboji this Saturday, September 24 for Oct-Tiki-Fest with the Polka Police from 4-6 pm followed by the Mighty Nish Band from 6-10 pm. 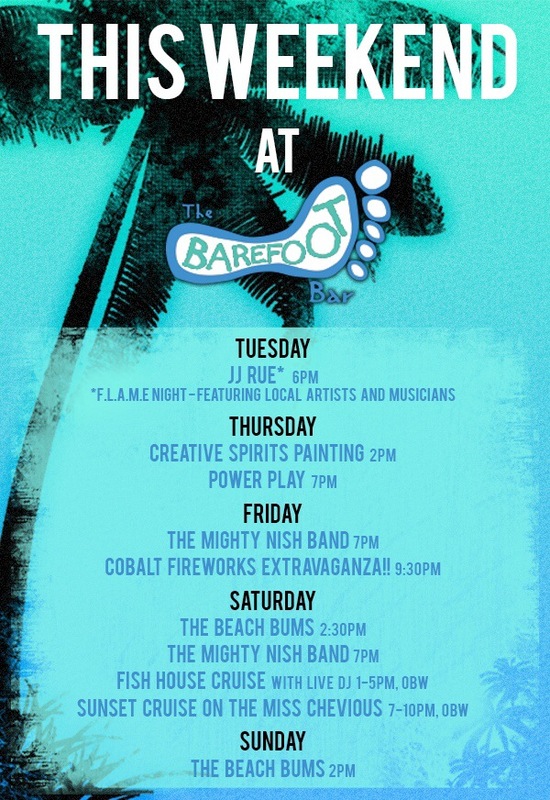 Head to the Barefoot Bar on Lake Okoboji this Labor Day weekend for some Nishy fun! The Mighty Nish Band plays from 7-11 pm on Saturday and Sunday, Sept. 3 and 4. Party with the Mighty Nish Band at the Barefoot Bar on Lake Okoboji this Friday and Saturday night August 19 and 20 from 7-11 pm. The Mighty Nish Bandwill rock the Barefoot Bar on Lake Okoboji this Friday and Saturday night July 22 and 23 from 7-11 pm. Head to Cherokee, Iowa on July 15 for the Cherokee Customer Appreciation Street Dance hosted by the Cherokee Chamber of Commerce. There will be food and fun stuff for the whole family from 6-8 pm. Then, the Mighty Nish Band will kick off at 8 and rock until midnight. Oh, yeah – the whole event is FREE! The Mighty Nish Band is ready for summer at the Barefoot Bar on Lake Okoboji! Party with us Friday night June 10 from 7-11 pm and during the day on Saturday, June 11 from 2:00-6:00 pm. Check out Igor & The Red Elvises at 7pm Saturday night! 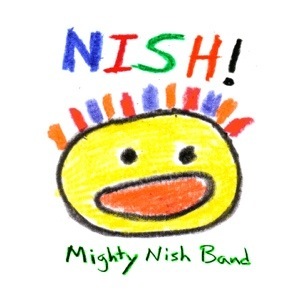 The Mighty Nish Band is Omaha, Nebraska and Iowa PARTY music! 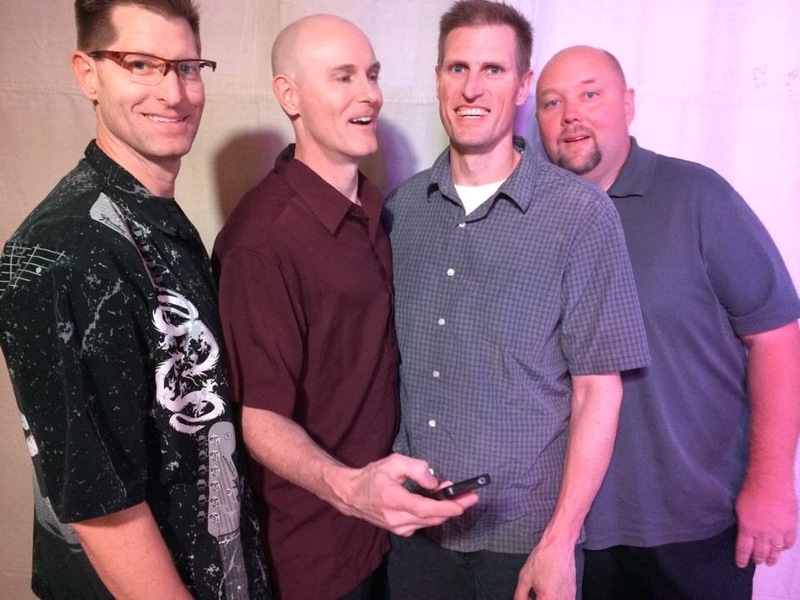 The Mighty Nish Band will ROCK the giant heated tent over the Barefoot Bar at Okoboji Winter Games on Saturday, January 30, 2016 from 3 pm to 7 pm. Check out all the fun events Saturday and all weekend long. The Mighty Nish and Acoustic Mayhem boys are joining forces for one crazy night of fun. 9pm-1am live at Whiskey Run (17499 Ivy Ave, Carroll, IA) this Thanksgiving Eve (Wednesday, November 25)! 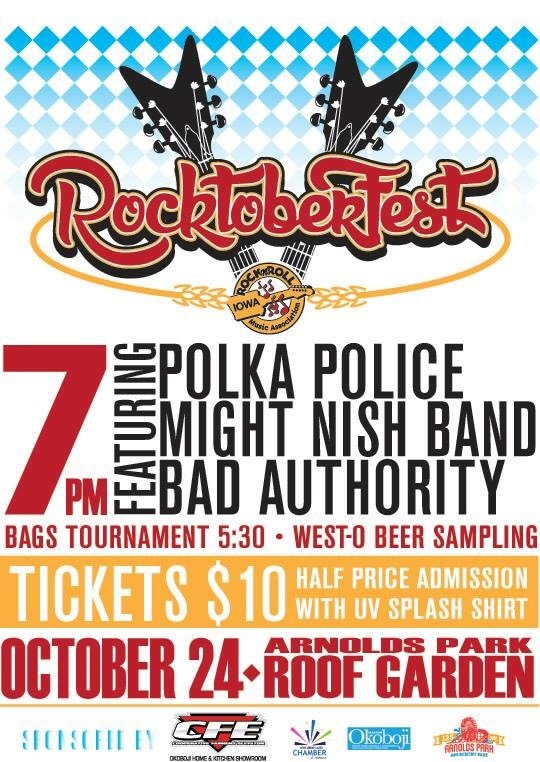 Saturday, October 24, the Mighty Nish Band will be performing at the Iowa Rock’n Roll Music Association‘s Rocktoberfest at the Roof Gardens in Arnolds Park, Iowa from with their little brother the Polka Police and Bad Authority. 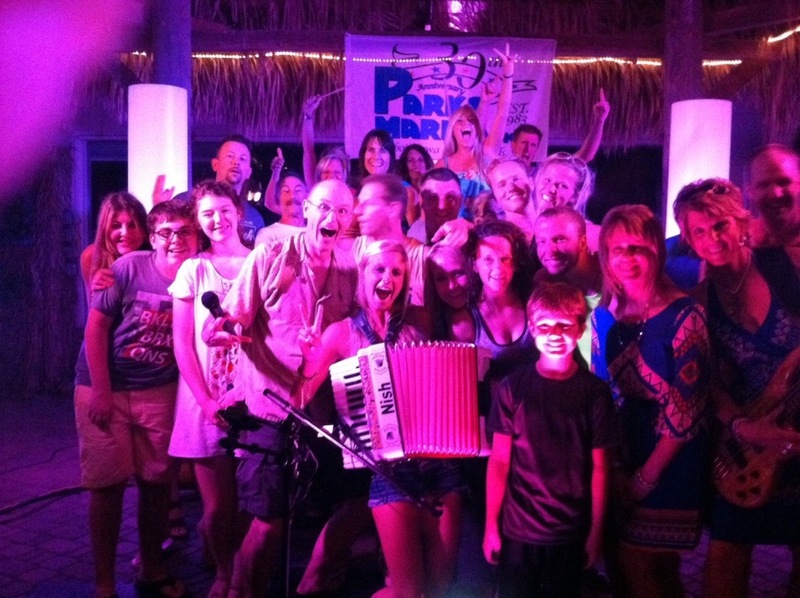 Saturday, Sept 26 the Mighty Nish Band will rock the Barefoot Bar’s Oct-Tiki-Fest Full Moon Party on Lake Okoboji. The Polka Police open from 4-6 pm followed by the Mighty Nish from 6-8 pm! Oktoberfest games, food and BEER! Nothing is better than Labor Day weekend at the Barefoot Bar on beautiful Lake Okoboji! Have some fun with the Mighty Nish Band this Saturday-Sunday, September 5-6, 2015 from 7-11 pm. The Mighty Nish Band is Omaha, Nebraska & Iowa live party cover music! 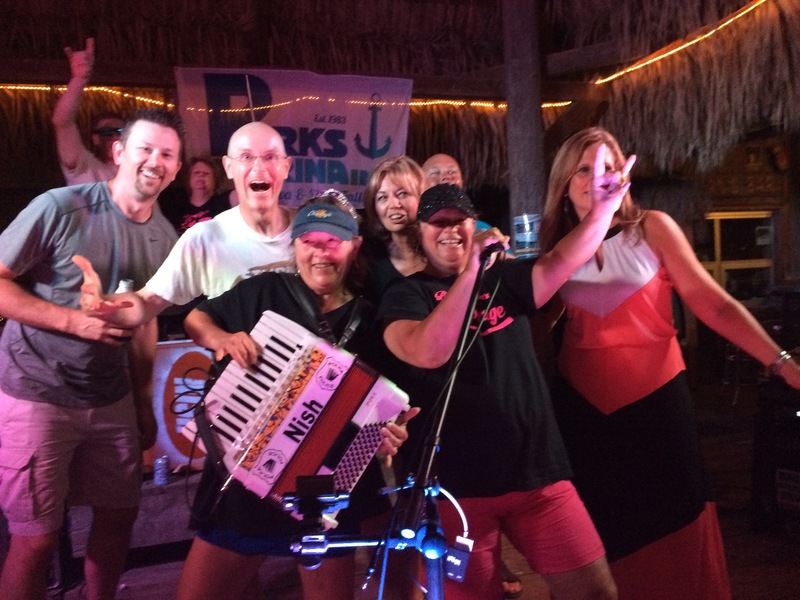 PARTY with the Mighty Nish Band this Friday-Saturday, August 7-8, 2015 from 7-11 pm at the Barefoot Bar on beautiful Lake Okoboji! The Mighty Nish Band is Omaha, Nebraska & Iowa live party cover music! 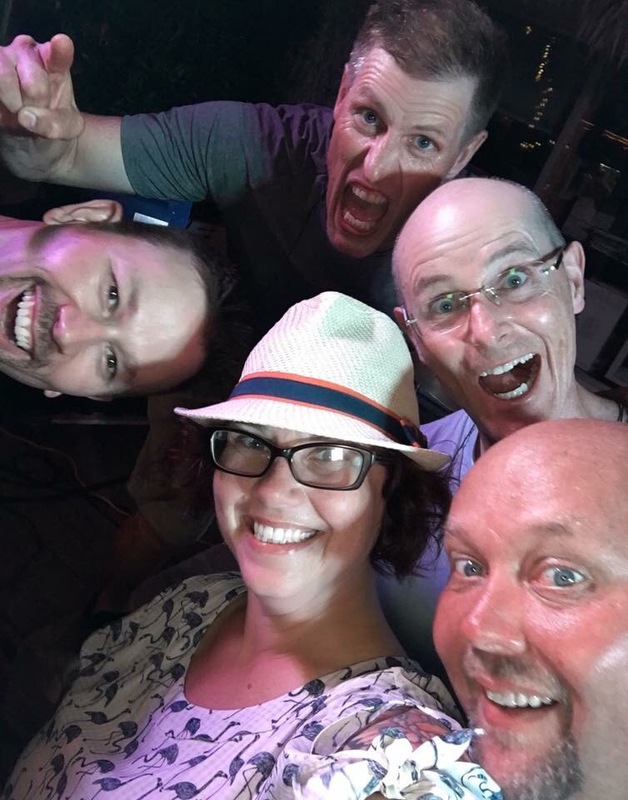 Have some FUN with the Mighty Nish Band at the Barefoot Bar on Lake Okoboji this Friday and Saturday, July 24 and 25 from 7-11 pm. Ragbrai riders will enjoy great entertainment all day long in Storm Lake on Sunday July 19, 2015. Brad Morgan will be pickin’ his country in the afternoon until 5 pm. Next, the Mighty Nish Band will be mixing it up from 5:30 until 8:30 pm. Then, the Arch Allies go on at 9 pm with the look and sound of Styx, Journey, and REO Speedwagon. Mighty Nish is Omaha, Nebraska & Iowa party music! Join the party at Thunderbowl in Council Bluffs, IA on Saturday, July 11. The Mighty Nish Band will entertaining the beer garden from 7-10 pm. Wedding reception, corporate party, street dance, festival or fundraiser in Omaha, Nebraska or Iowa- whatever event you are planning, the Mighty Nish Band can make it the best party of your life. The Mighty Nish Band will perform at the Barefoot Bar on Lake Okoboji this Friday and Saturday, June 12-13 from 7-11 pm. Let summer begin! 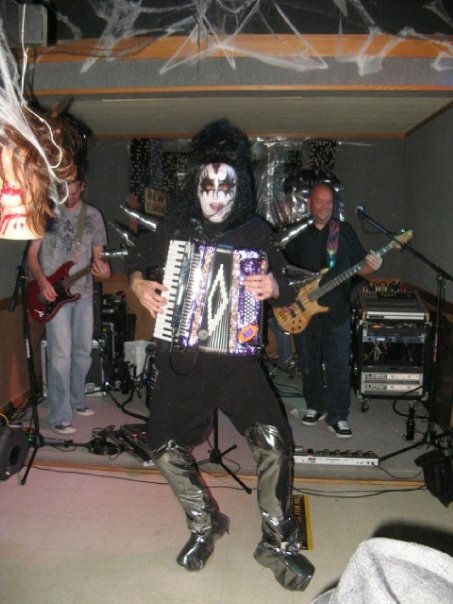 Here is a list of some of the many great Omaha, Nebraska and Iowa bands (other than the Mighty Nish Band) that specialize in wedding receptions and other private parties. Why do we list our competition? We feel that being well informed about your entertainment options helps everyone. 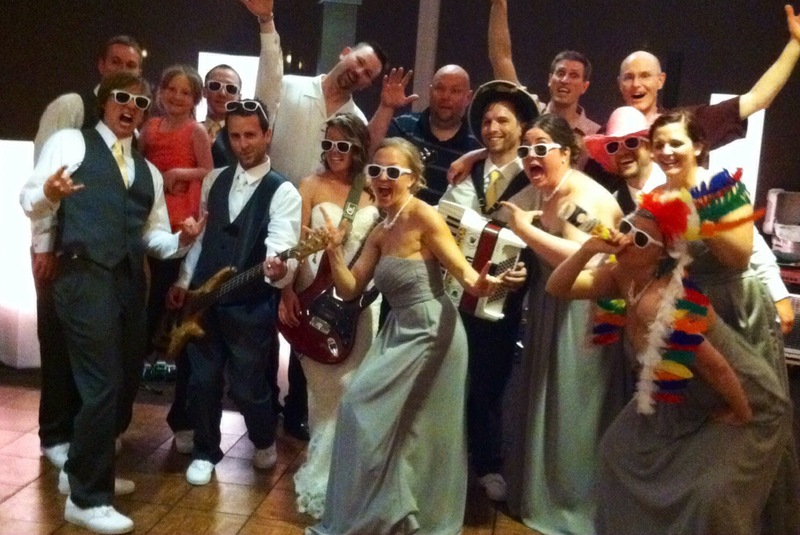 We think after shopping around you will still hire the Mighty Nish Band. Scroll down for other vendors like photographers, aesthetic and entertainment booking services. These RAGBRAI riders could not resist dancing with the Mighty Nish Band – even after riding across Iowa on a 90 degree day! Wedding reception, corporate party, street dance, festival or fundraiser in Omaha, Nebraska – whatever event you are planning, the Mighty Nish Band can make it the best party of your life. The Mighty Nish Band and the Polka Police will have a booth at the Omaha Bridal Showcase this Sunday, March 15 at the CenturyLink Center in Omaha, NE from 12 noon to 4 pm. A duo be there to perform and answer all of your entertainment questions about your wedding reception or any other event! Check out the Mighty Nish Band and all the other great entertainment this weekend at the Barefoot Bar at Okoboji Winter Games! 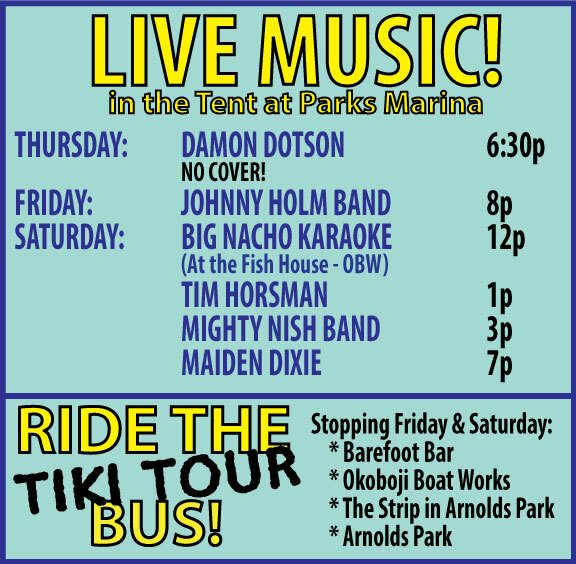 Mighty Nish Band on Saturday at 3-7 pm and the Polka Police Saturday from 12 noon – 2 pm at the 2 tents at Parks Marina. The Mighty Nish Band is performing from 2-3 pm at the Scheels and Life is Good ‘GET OUT’ Festival at Pinewood Bowl at Pioneers Park (3201 S Coddington Ave) in Lincoln, Nebraska on Sunday, October 19, 2014. This FREE family event is from 11-6 pm and features 5 bands. The GET OUT Festival is a celebration of optimism featuring a stage of well-known local musical talent, hands-on games, interactive arts, activities, food and more. This is a free event and fun for all ages. The Mighty Nish Band will be at the Barefoot Bar on Lake Okoboji this Friday and Saturday, August 29 and 30th from 7-11 pm. 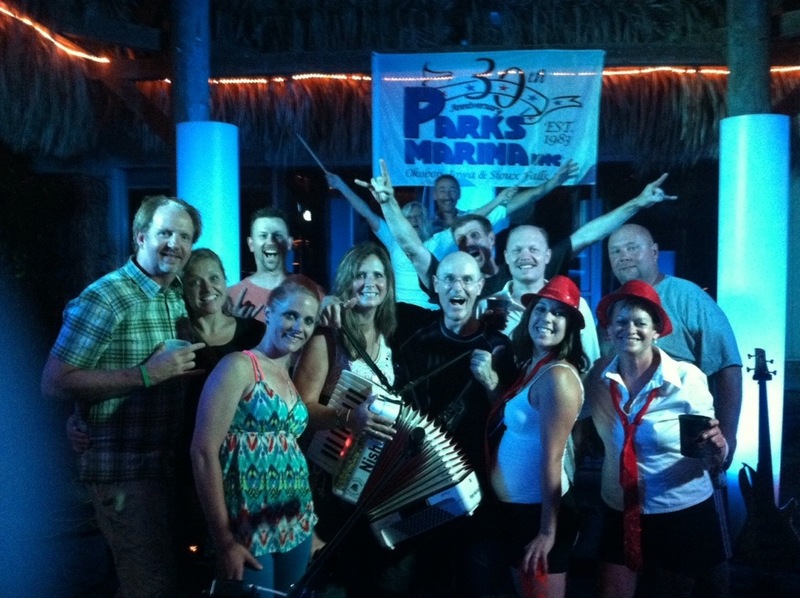 Thanks to the Parks Marina and all our friends who have come out this summer! The Mighty Nish Band will be performing for Lauritzen Gardens ‘Tempo of Twilight’ concert series on Tuesday, August 26, 2014 from 6-8 pm. The concert is free to Lauritzen Gardens members and included in the admission price. The Mighty Nish Band will perform at the Barefoot Bar on Lake Okoboji this Friday and Saturday, August 8-9 from 7-11 pm. Have some fun with the Mighty Nish Band at the Barefoot Bar on Lake Okoboji Friday, Saturday July 25, 26 2014 from 7-11 pm. Fireworks at 9:30 on Saturday! Everyone had a good time at Katie and Bryan’s wedding reception. 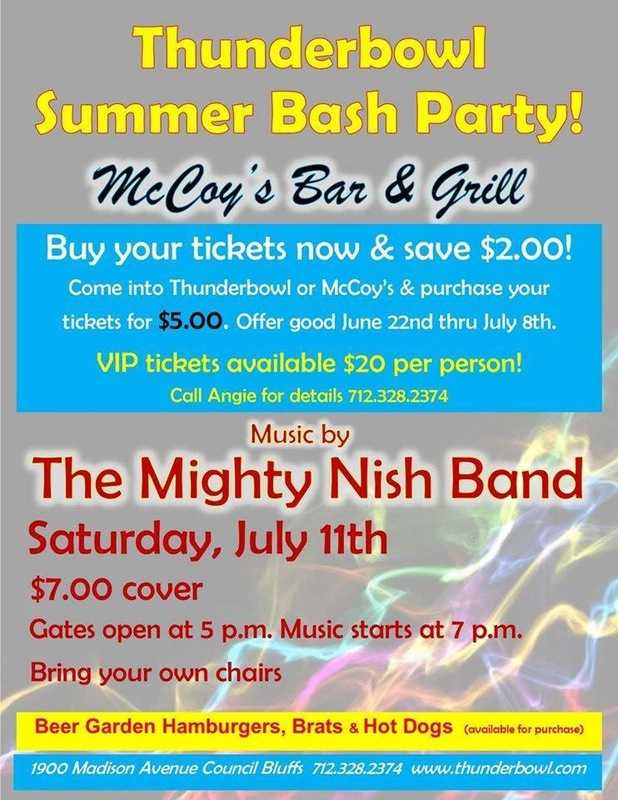 Rock your Independence Day with the Mighty Nish Band and Velvet Crush at the Sunset Park Band Shell in Storm Lake, IA. The Mighty Nish goes on at 12:30 pm; Velvet Crush plays from 3-5 pm. Click here for more information on all of the fun activities. Join the Mighty Nish Band this Friday and Saturday evening June 27-28 at the Barefoot Bar on Lake Okoboji. Everybody likes a little KISS! Posted by Polka Police	| June 13, 2014 | Categories: Uncategorized | Comments Off on Everybody likes a little KISS! The Mighty Nish Band will be rocking the Barefoot Bar on Lake Okoboji this Friday and Sunday, May 23 and 25. The Mighty Nish Band will perform for the grand opening of BlackBird Bend Casino in Onawa, Iowa on Friday, Feburary 21, 2014 from 8:30 pm until 12:30 am. The Mighty Nish plays live at the Barefoot Bar at Lake Okoboji this Friday and Saturday from 7:00 – 11:00 pm. Check it out live on the webcam.